On occasion of the first anniversary of Stranger Talks, a Babbel in-house platform for exchanging perspectives among its diverse employees, Babbel is opening its doors on November 20, 2018 to promote dialogue about diversity in the greater corporate community. The event will take place at Max-Beer-Straße 2 from 6 pm to 9 pm. Today's companies are becoming increasingly diverse: employees have different cultural backgrounds, are different ages, and have different sexual orientations. Diversity is a particularly important topic for Babbel, a language learning provider and employer of a diverse team. A few years ago they made one of their key corporate values: "Diversity makes us stronger". Importantly, this value has not only been projected from the top down, but is valued by and lived out by the employees themselves. 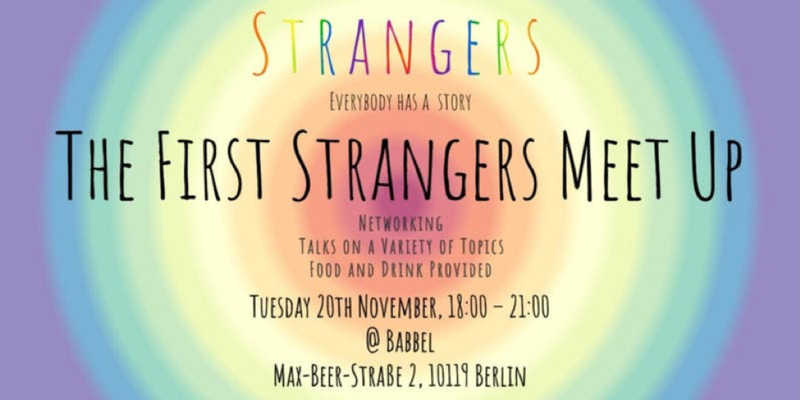 One year ago, Babbel employees launched the grassroots movement "Strangers", an initiative that biweekly organizes "Strangers Talks". These events offer employees a platform to tell their stories and discuss controversial topics. The aim of Strangers is to inspire new thoughts and to initiate a change in consciousness. At Stranger Talks all employees are welcome - either as speakers or participants. Since the topics are often very personal, it’s particularly important that all participants feel comfortable. Strangers, therefore, offers a safe space in which opinions can be shared without judgement. Now it’s time to share this concept, that has enriched Babbel’s corporate culture and the experience of its employees, with other companies. Because only by exchanging ideas we can increase diversity awareness! Therefore, we cordially invite you to join the discussion and listen to some of our favorite talks of the past year. Lilly Miner focuses on internal communication processes in times of digitalization. In this field, she is particularly enthusiastic about the formation of a corporate culture and the resulting employee motivation.